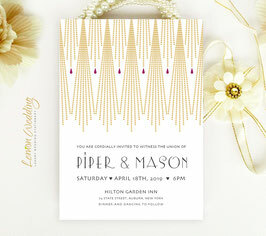 Announce the details of your glamourous vintage wedding with our Great Gatsby Wedding Invitation. 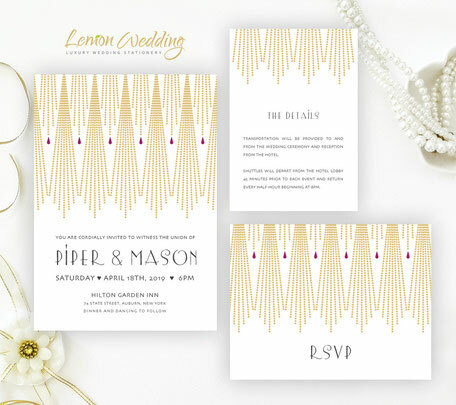 With a luxe design, our Great Gatsby invite set will give your guests the details surrounding your wedding. 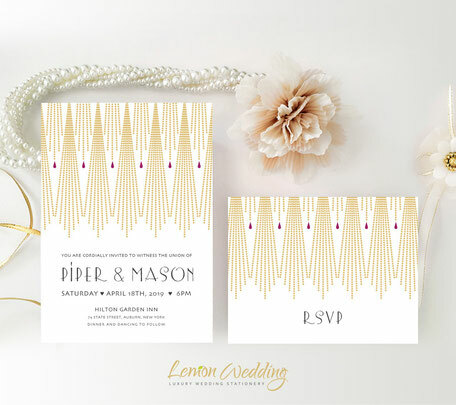 Printed on premium cardstock, our wedding invitations are finished with a stunning art deco design. Paper type: premium 110 lb.